Capricorn lovers are a wise choice for individuals seeking quality long-term relationships. Capricorns are reliable, determined and faithful, making them valuable lovers and great assets in all of their various relationships. If you are a Capricorn or are in a relationship with one, it's always good to recognize potential trouble spots ahead of time so you can work at making your connection as strong as possible. Typically Capricorns have several primary characteristics that can serve as positives or negatives in their romantic endeavors, depending on the circumstances and partners. When in love, many of these characteristics are emphasized due to the importance that Capricorn places on intimate relationships. Capricorns tend to tread slowly and won't often be willing to enter into a relationship right away. They like to check out a situation thoroughly before becoming involved, and they behave similarly with people they meet. It's important for them to have some control of what's going on at all times, and if they don't feel they can completely trust a potential partner, they won't begin a relationship until that feeling changes. The good news is that once a Capricorn does enter into a relationship, they trust their partner and are completely loyal. Capricorns are skilled with finances and know how to handle money well. Thus they tend to be attracted to those who work for their money and use it wisely. Many Capricorns are accountants, managers, bank employees or financiers, and they'll search for people who share similar financial smarts when they look for love and close friendships. Capricorns are interested in protecting what they hold dearest whether it be their financial assets or their significant others. If you're lucky enough to get into a relationship with one of these people, their attraction to stability means that they'll protect and defend the relationship at any cost, even at great personal sacrifice. Capricorns are very giving and won't hesitate to immerse themselves completely in their relationships. 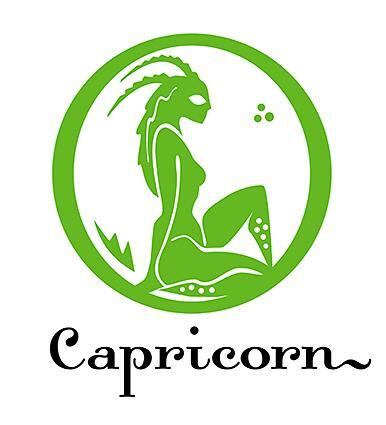 At times Capricorn's instinct to protect may tend toward the possessive; this can cause conflict in relationships. More carefree individuals may find this protective nature stifling or restricting, but those who appreciate reliability won't feel smothered and will recognize this trait as a definite advantage. Although not flamboyant, Capricorns are natural leaders. This is not because they enjoy being dominant or on center stage, but rather because they know things will be done correctly if they have control of the situation. In Capricorn relationships, this trait can be problematic with partners who are more spontaneous. If the partner also has perfectionist tendencies, the pair is apt to be more compatible. Capricorns tend to be extremely passionate in their romantic relationships. It may take time for them to get involved with a partner to the point that they feel free and relaxed, but when they finally do, the love and passion they feel will be evident every day. Passion is not to be confused with emotion in relationships because Capricorns are famously practical and try to steer clear of expressing dramatic emotions whenever possible. Some partners find this frustrating and may have to coerce their Capricorns into sharing more of their feelings. However, a relationship can be very very strong if a partner shares the practical and utilitarian approach that makes many Capricorns so successful. Capricorns don't flirt and are not attracted to people who flirt. They tend to have a naturally authoritative bearing and a traditional approach to romance. However, you'll likely have to make the first move, and then if a Capricorn is into you they'll be direct and let you know they're also interested. But if that's not happening there are a few signs you can watch for. As a Matter of fact, if a Capricorn goes out of their way to be near you and impress you, then politely waits for you to give them a sign that you're interested in them, you can rest assured, they're interested in you. In their truest form, a Capricorn will do the worrying for you. Capricorns are lovers of stability and convention, and they keep a close eye on the security of their affairs and yours as well. You have an easier time in your relationship with a Capricorn if you give them little cause for concern and emphasize a lifestyle that is free from needless drama and overblown emotions. This will encourage your Capricorn mate to settle comfortably into the here and now instead of constantly looking ahead, which is their nature. In doing so you can help them achieve balance in the present, which will aid a stable future for you both.